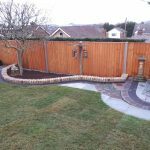 We work closely with all our clients to keep their gardens in tip top shape the whole year round. We strive to constantly improve our customer service by offering a monthly progress review to discuss any issues and concerns and to plan for future activities. 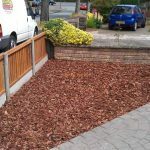 Our aim is to become the “Number One” Garden Maintenance service provider. 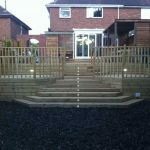 The service we offer puts our clients ahead of their competition within an agreed budget. 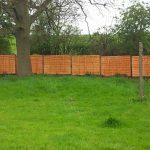 We provide a complete garden maintenance service offering everything from five star lawn care to creative and colourful bedding arrangements within your personalised maintenance programme. We fully understand the importance of our role in the everyday running of your business. You can be confident that the professional service you receive will make your experience with us a pleasurable one. We offer competitive pricing, guaranteed quality standards and complete peace of mind. The service we provide works extremely well for care homes, lettings/estate management, developers and any other commercial business where quality matters. 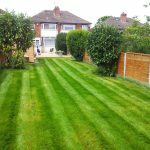 Beautifully verdant striped lawns, colourful bedding displays, complete weed free environment and a highly reliable service are all key features of the Vibrant Landscapes service and will undoubtedly add value to your Business. For further information or to arrange a free no obligation consultation please do not hesitate to contact us.